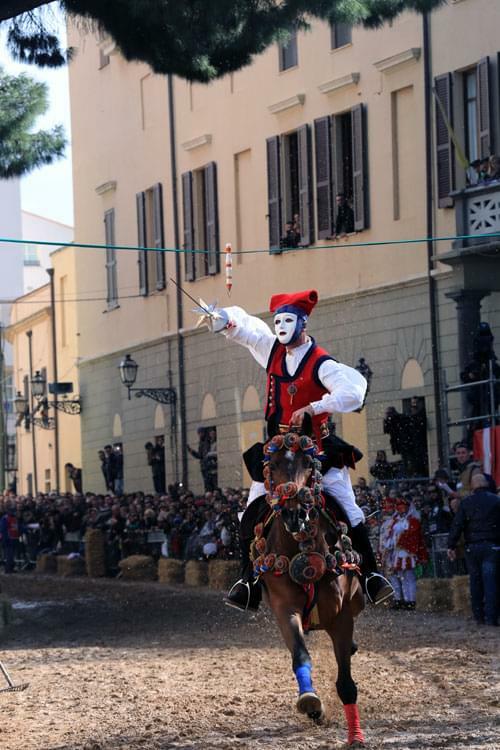 The Sartiglia is a spectacular equestrian event that is said to have its origins in the Middle Ages, when the local population was obliged to raise an army of horsemen to defend their territory from the Spanish invaders. 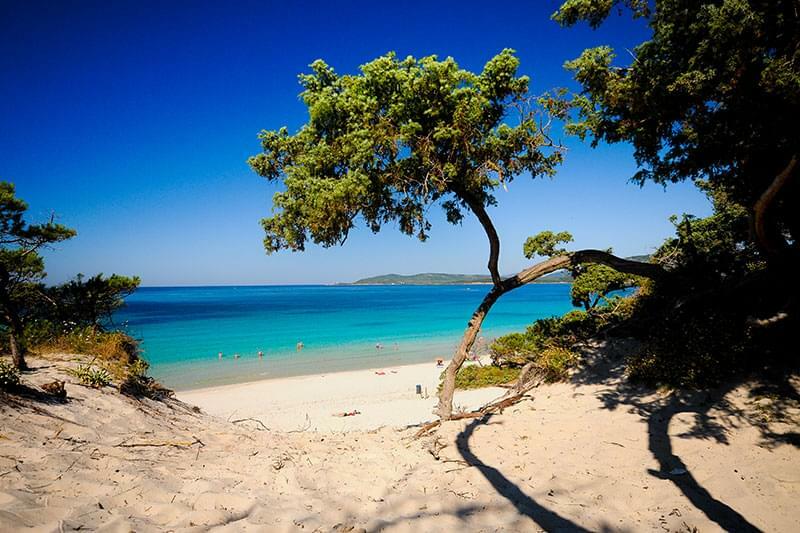 Whatever its true origins, the event has taken place in the town of Oristano, on the west coast of Sardinia, every February or March for 500 years. 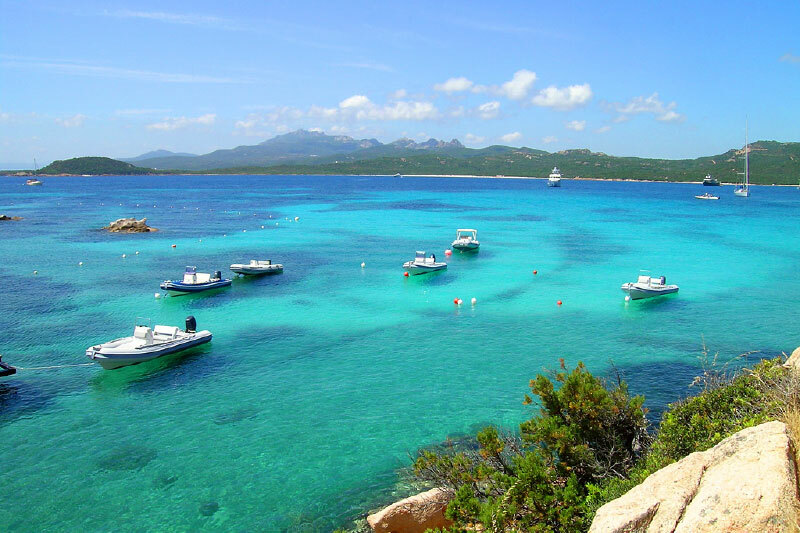 During the period of Spanish rule, seven cities in Sardinia were granted Royal Status. 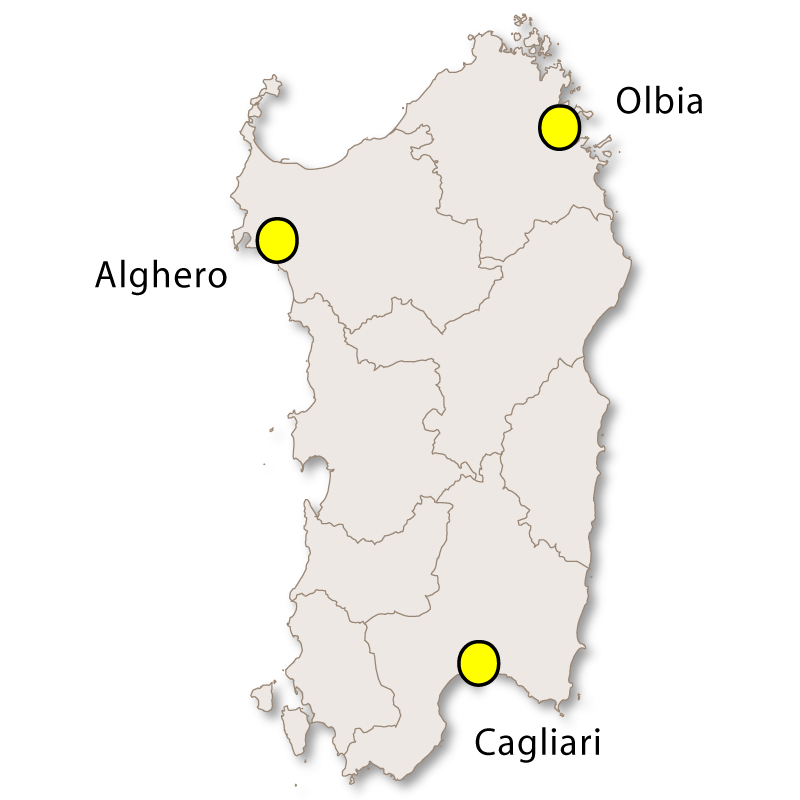 These cities were: Cagliari, Sassari, Oristano, Alghero, Iglesias, Castelsardo and Bosa. 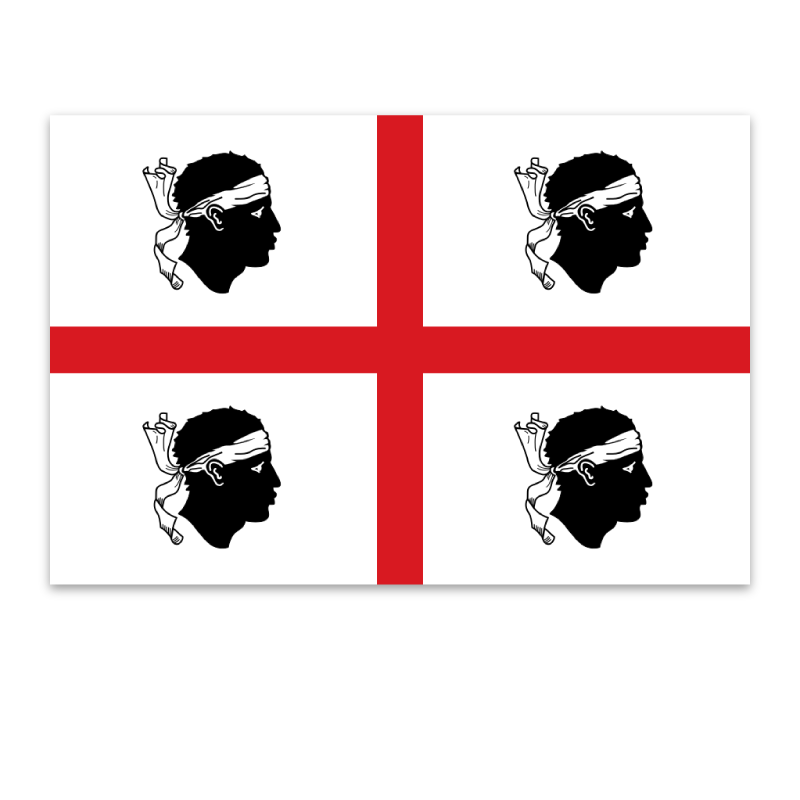 Among the privileges they enjoyed was that of establishing trade guilds. 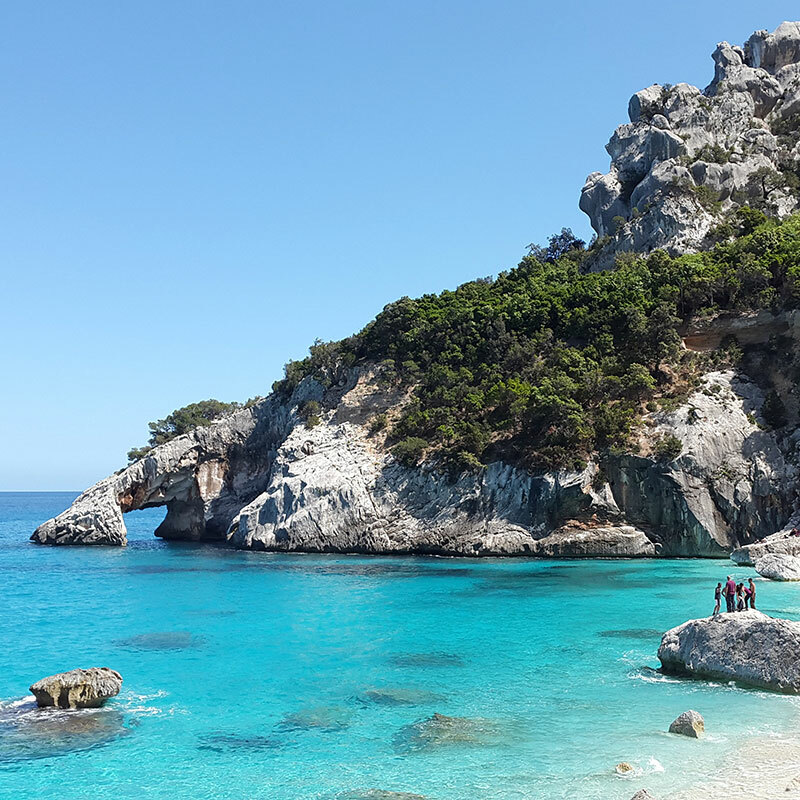 These once powerful organisations were disbanded in 1864, but continued in a different form, many taking on the responsibility of maintaining the ancient events and traditions of Sardinia. 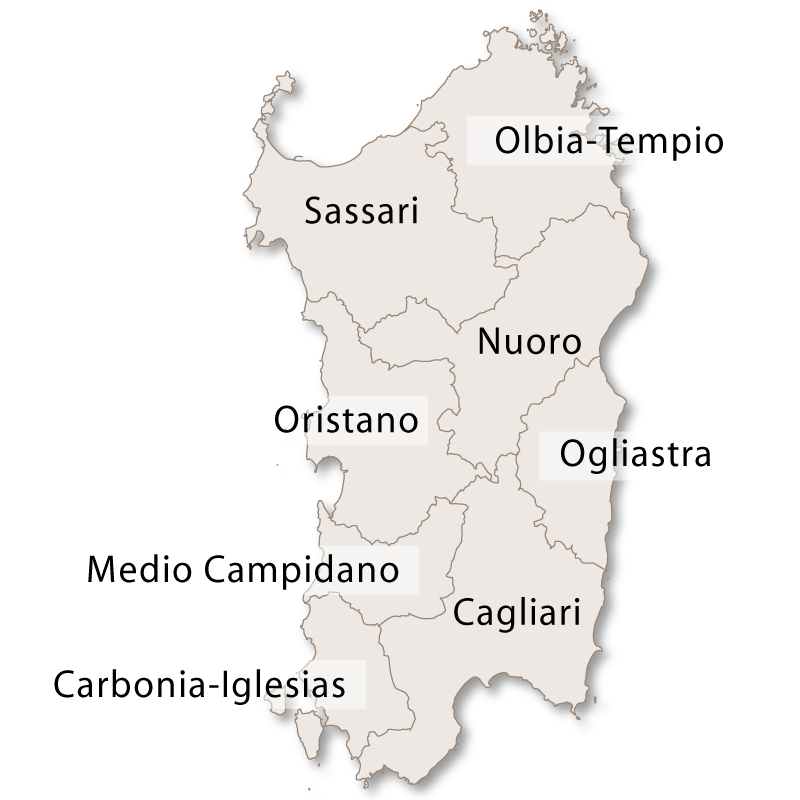 Two of these guilds maintain the tradition of the Sartiglia in Oristano, the Guild of Farmers and the Guild of Carpenters. On 'Candlemas', February 2nd, the head of each guild appoints a leader for his procession. 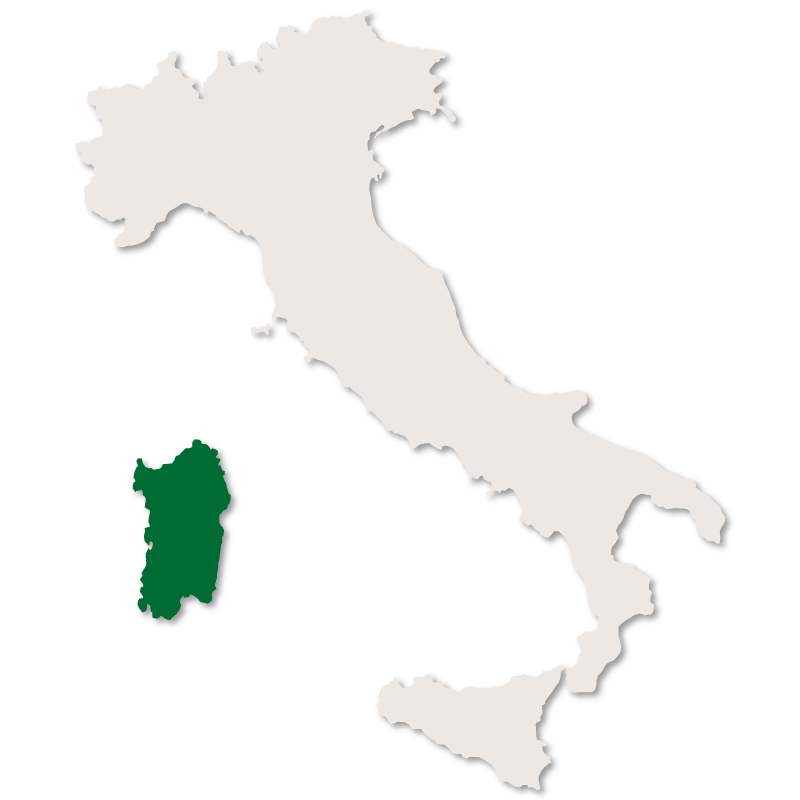 This leader is called 'Su Componidori'. 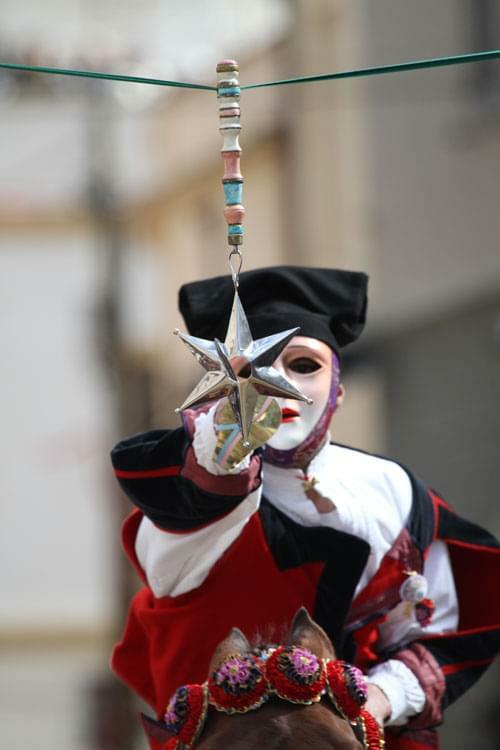 The guilds hold their events on two different days, the Guild of Farmers on 'Carnival Sunday' (the last Sunday of Carnivale) and the Guild of Carpenters on 'Shrove Tuesday' (Martedi Grasso or Mardi Gras). 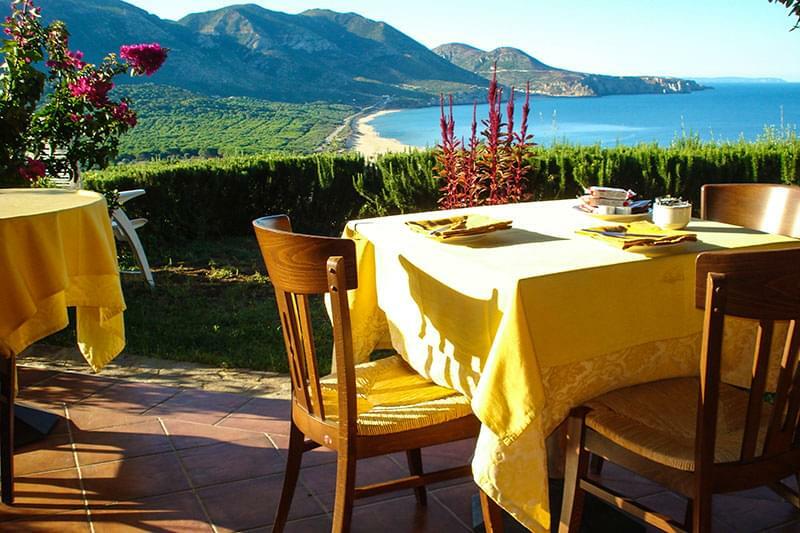 As with 'Carnivale', the actual dates each year will depend when Easter falls. 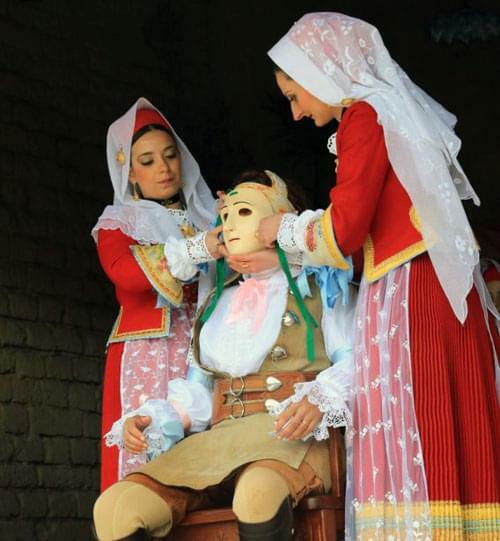 A group of local women, dressed in traditional costumes and led by 'Sa Massaia Manna', accompany 'Su Componidori' to a ritualistic dressing ceremony. He is dressed in the colours of his guild, and wears a symbolic mask. The procession then starts with trumpeters and drummers accompanying up to 120 riders, all dressed in traditional costumes and masks, with the bridles and saddles of their horses also brightly decorated. They make their way down to the first part of the event which is a type of jousting competition where riders attempt to run through a target in the shape of a small star, using swords. These attempts takes place at a full gallop. Apart from 'Su Componidori' and his two companions, other riders are allowed to take part each year at the discretion of 'Su Componidori'. Those riders who successfully retrieve a star are allowed to keep them as a momento. Once this is over, 'Su Componidori' performs 'Sa Remada', a final gallop down the track that officially closes the joust. 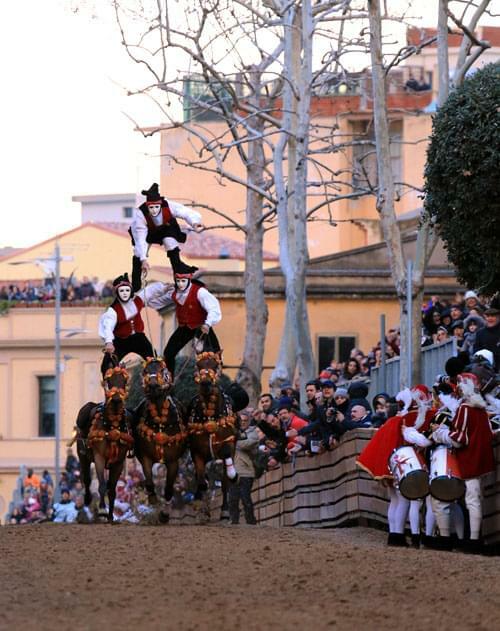 The procession then moves on to the 'Pariglie' which is a spectacular show where groups of three expert horsemen perform death-defying, acrobatic displays while galloping down the course. 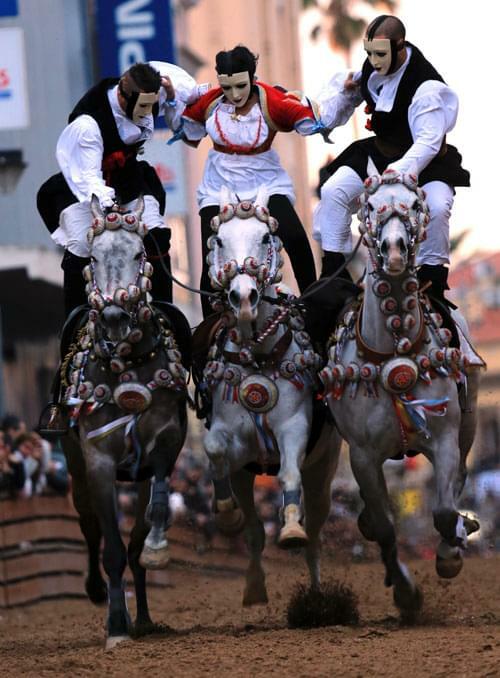 This event is also rounded off with 'Su Componidori' performing another 'Sa Remada', this time with his two companions, with all three of them galloping down the track at full speed.